Revellers in India filled the streets to mark Holi, the festival of colours, which marks the end of winter and start of spring. 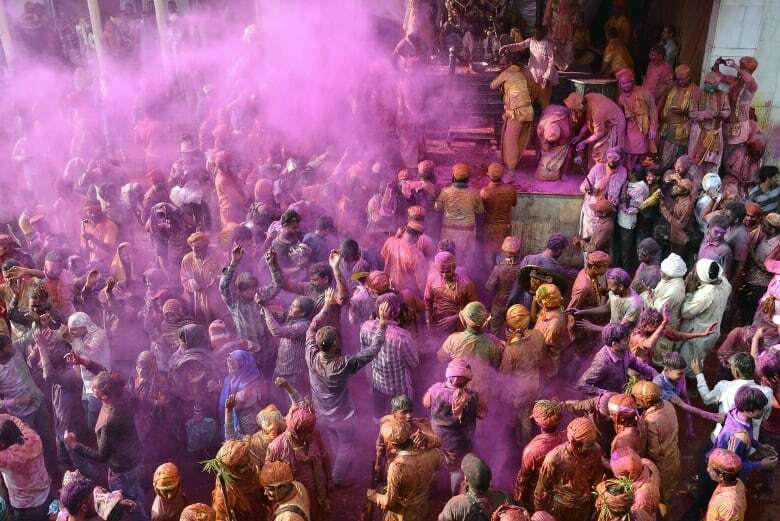 Hindus douse each other with coloured powders and waters during the two-day celebration which dates back to the 4th century. Revellers in India filled the streets Monday to mark Holi, the festival of colours, which marks the end of winter and start of spring. 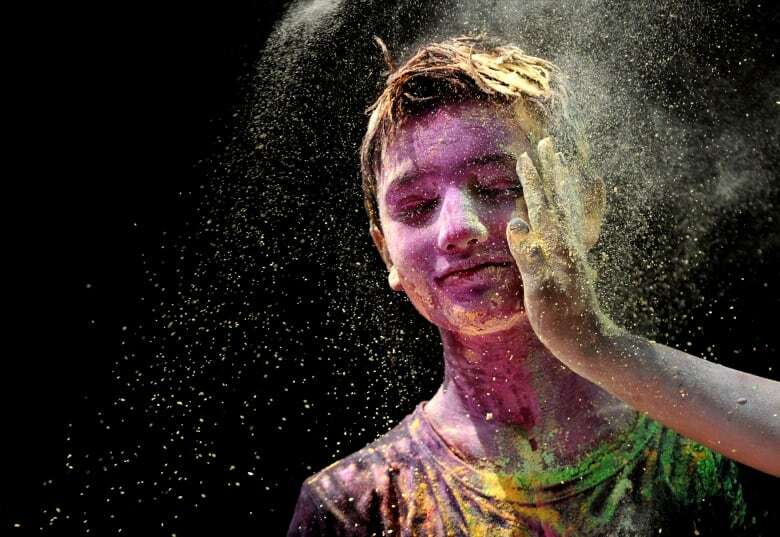 Hindus douse each other with coloured powders and waters during the two-day celebration. The tradition dates back to the 4th century. The festival — celebrated in India, Nepal and other countries around the globe — also represents a loosening of social customs, allowing people from different castes and ethnicities to mingle freely. 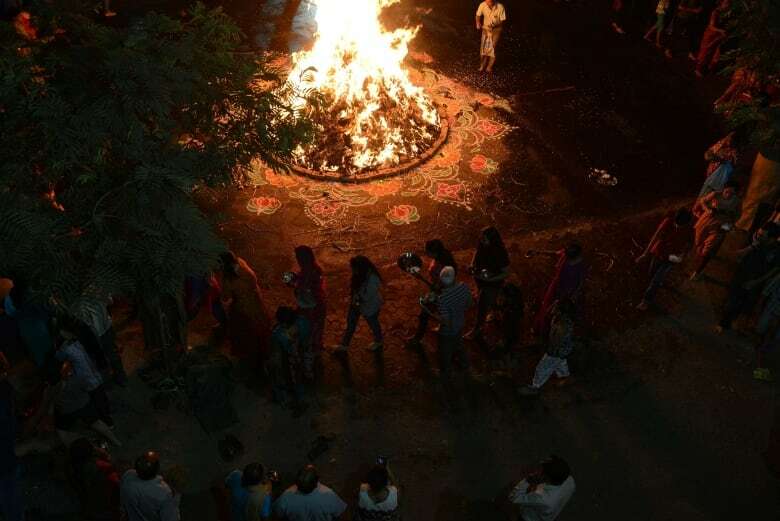 On the first day of Holi, participants light a bonfire that represents the triumph of good over evil. The tradition has its roots in a Hindu myth about Holika, a mythical demon who was burned to death. The day after the bonfire, revellers celebrate Rangwali Holi. 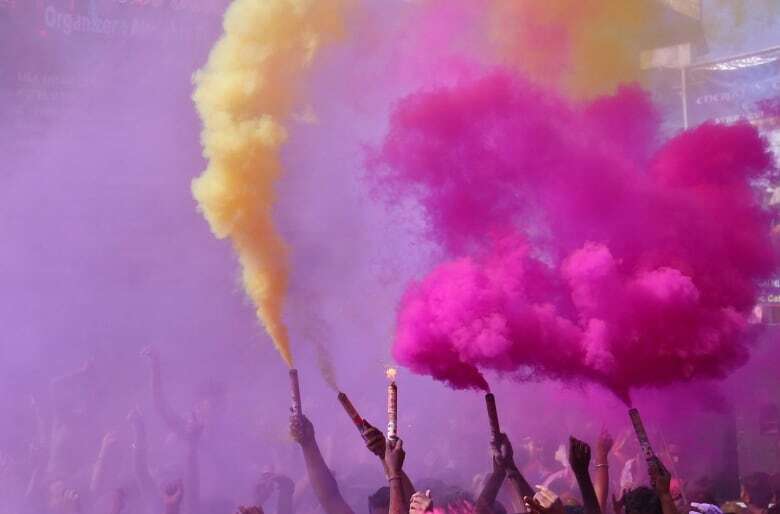 They spray each other with coloured paints and powders, a ritual that refers to the love story between Hindu deity Krishna and the goddess Radha. According to the legend, Krishna, who is depicted as having blue or black skin, was worried Radha wouldn't accept him and so painted her skin to match his. Historically, revellers used flower extracts and turmeric to spray each other, but today synthetic dyes are commonly used. The colours have various meanings, with blue representing Krishna's skin and green being the colour of nature. 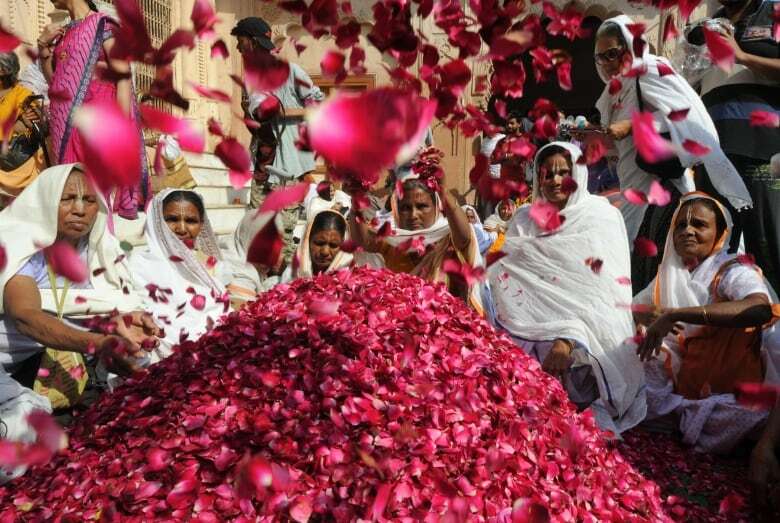 Red, the colour worn by Indian brides, represents purity. Yellow is the colour associated with the merchant caste. 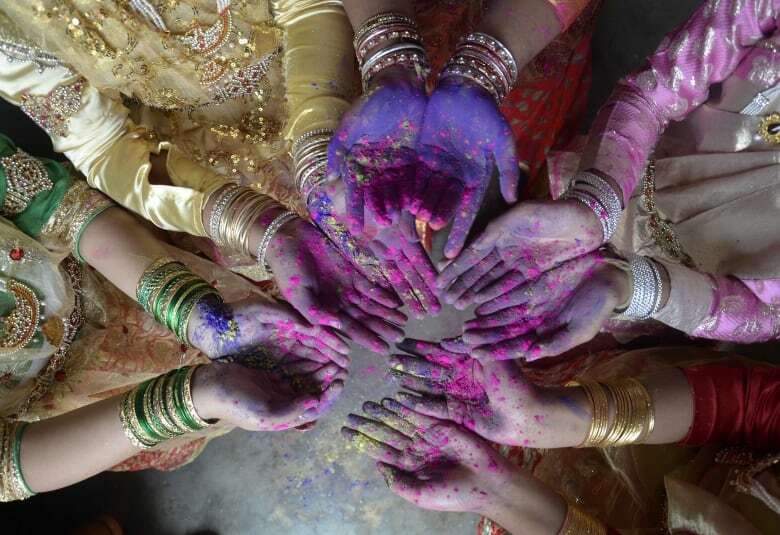 Hindu widows only recently began to celebrate Holi. Tradition dictated that women whose husbands had passed away live in mourning, often in exile. The women seen in this photo — taken in northern India's Vrindavan, known as "the city of widows" — broke with tradition and celebrated the colourful holiday. 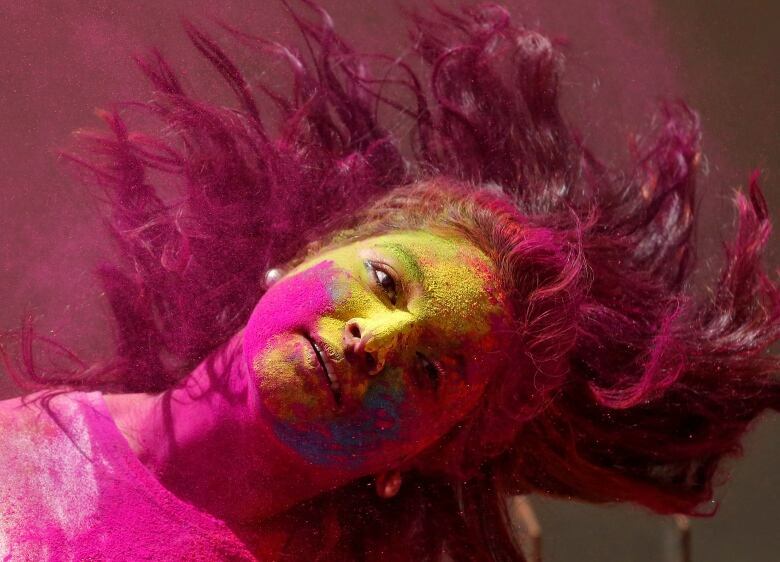 Revellers mark the relaxation of social restrictions with the greeting, "Don't be offended, it's Holi." 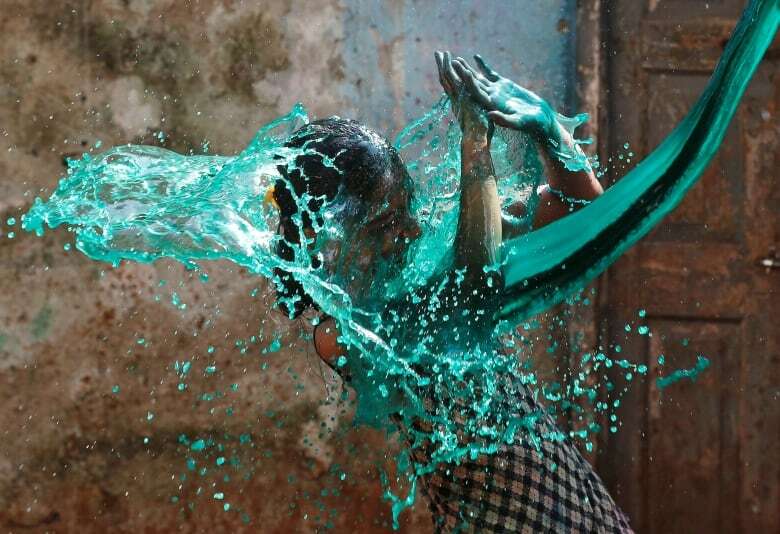 A girl is doused with coloured water in Mumbai, India. Revellers typically fill water guns, buckets and balloons with coloured water for the festivities. A woman celebrates at the festival in Hyderabad, in southern India. Authorities elsewhere warned women to be mindful of possible harassment during the Holi celebrations.